What would it take for an average person to repeatedly harm a stranger with increasingly powerful — and potentially fatal — jolts of electricity? For 65 percent of you, only a polite but firm request by an authority figure is necessary. Michael Almereyda’s “Experimenter” tells the story of the man behind that statistic, psychologist Stanley Milgram. 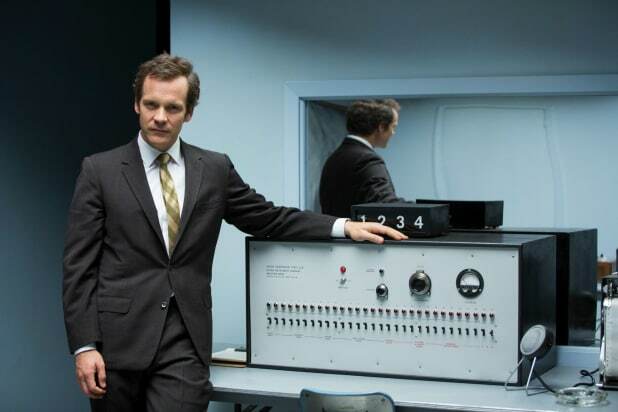 In response to the trial of Nazi war criminal Adolf Eichmann in the 1960s, Milgram (Peter Sarsgaard) set out to study obedience, particularly the willingness of experiment participants to inflict “punishment” on another person simply because the conductor of the experiment instructed them to do so. Milgram’s casual polls of colleagues as well as his students at Yale before the trials began predicted that very few would follow through to the end of the experiment, which involved the person shocking another participant three times with 450 volts. Turns out they had too much faith in the good of mankind: Out of 40 test subjects, 26 administered every shock as instructed by a man in a gray lab coat (white would be “too medical,” Milgram reasoned), though they all expressed concern about the other participant — who was actually an actor (Jim Gaffigan) and didn’t receive any shocks at all — and displayed physical signs of stress and emotional upset. “Experimenter” covers the time Milgram was conducting these trials as well as their post-publish backlash and subsequent experiments. The obedience project was decried as unethical for both the deception involved and the tremendous stress it placed on its test subjects. Though the experiment has since been recreated in various countries throughout the years — Eli Roth conducted one for the Discovery Channel in 2011 — the results have been statistically similar. Almereyda highlights the artifice behind Milgram’s project by using two-dimensional backdrops instead of sets in many scenes and often having Sarsgaard break the fourth wall to comment on the goings-on. Though not all of the director’s surreal touches work — twice there’s a literal elephant in the room with Milgram, which is as head-scratching as the test subjects’ behavior — Sarsgaard’s sleepy, soothing voice and demeanor are bewitching when he addresses the viewer, further pulling you in even as the heady topics have already hijacked your mind. 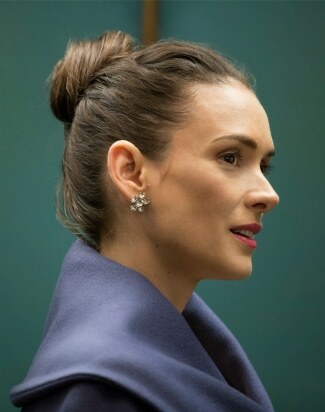 Milgram’s personal life, specifically his meeting and marrying Sasha (Winona Ryder), is a subplot, though Sasha serves little more purpose than as a sounding board and source of support. Ryder and Sarsgaard have an easy chemistry, but Ryder — seen too rarely in movies these days — had an easy role. Milgram is now considered one of the most important social psychologists of the 20th century, but the film portrays the resistance he faced from peers, students, and the public. (“He tortures people,” a woman on the street remarks.) The results of the obedience and other experiments are so fascinating, however, that it’s difficult to understand the outrage; perhaps people’s stated reasons were covers for the fact that they were truthfully just repelled by the outcome. Regardless, “Experimenter” is a largely engrossing sit, even during an unfortunate moment when Sarsgaard sings and the film threatens to become a musical. But as interesting as the developments are, they’re too inscrutable to stay with you for very long. As Milgram (quoting Rogers & Hammerstein) warbles, “Who can explain it, who can tell you why?” If the academic behind the experiments can’t justify his results, it’s unlikely that viewers will do much more than he does: React with surprise and even shock, mull it over a little, shrug their shoulders, and carry on. Can Jack Black’s ‘Goosebumps,’ Tom Hanks’ ‘Bridge of Spies’ Bring ‘The Martian’ Back Down to Earth?